San Francisco (Obama.net)- Thursday, General Motors had their initial public offering (IPO). Shares of the newly public company started at $35 as the day opened. The day saw General Motors make a grand total of $20.1 billion dollars. The reports for GM’s third quarter show that the company had its best financial term in over a decade. With the huge success of GM on Thursday, the Dow Jones gained a total of 173 points or 1.6%. President Obama and the United States government decided to finance GM and give them new marching orders after the automobile company declared bankruptcy nearly a year and a half ago. Now, General Motors, alongside Ford and Chrysler, are creating jobs like the good old days once again. In the last few months alone, the three major automobile makers posted over 75,000 new jobs. Out of the $20.1 billion made by GM Thursday, $11.8 billion goes to the government. Thus, the money essentially goes back to American taxpayers. 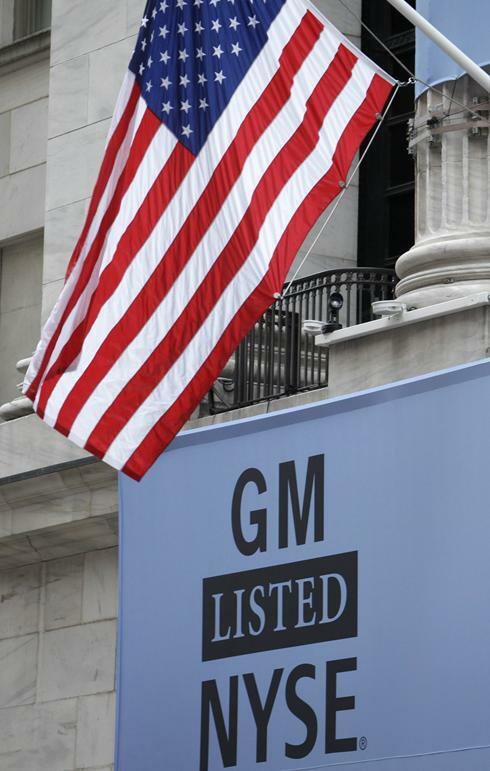 The government still owns thirty-three percent of GM and is expected to sell those shares as well once the prices of the stock goes up. In the long run, the bailout helped preserve 1.4 million American jobs. Had the bailout not occurred, even more money would have been spent on unemployment benefits. In the end, after the bailouts and economic measures taken by President Obama and initiated by former President George Bush, the economic picture is finally looking positive. Economic experts like Warren Buffet said that the moves made by the American government in the last two years were the best possible moves in an effort to make sure that a depression did not occur. Even though a few weeks ago he and his party lost control of Congress, Obama’s policies and tough choices can now be touted as the right moves that helped save America’s economy. Thank you President Obama for saving the American Auto Industry..